A new shaft collar and component prototype 3-D printing program that lets users create their own working models of special-purposed parts within hours has been introduced by Stafford Manufacturing Corp. of Wilmington, Massachusetts . The Stafford 3-D Prototype Development Service lets users create a 3-D printed part from a print within a few hours and quickly test the form, fit and function to provide immediate feedback on proof-of-concept testing. Ideally suited for shaft collars, couplings and mounting devices, a finished machined part can be delivered by Stafford within 2-3 weeks after proofing. Enabling design engineers to speed product development, the Stafford 3-D Prototype Development Service can also validate manufacturability. For users who require in-depth design engineering assistance, Stafford can optionally employ their extensive special component design and manufacturing experience to get more involved with a customer’s project. 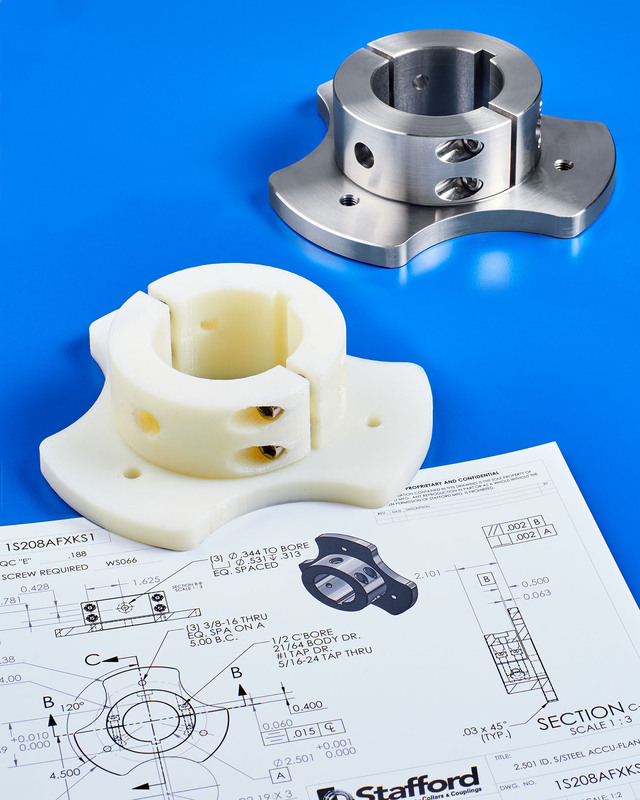 The Stafford 3-D Prototype Development Service is priced according to customer requirements. Price quotations are provided upon request.